Bonefish Grill, a casual dining seafood restaurant, will open its new location at Spokane's NorthTown Mall at 4pm on today, March 21. The public is invited to attend a grand opening ribbon cutting ceremony at the Bonefish Grill location with Greater Spokane Incorporated (GSI). To show its support of the local community, a portion of the restaurant's opening day sales will benefit Big Brothers Big Sisters of the Inland Northwest. 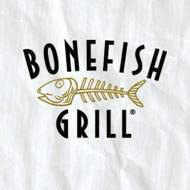 The new Bonefish Grill is located in the mall's redeveloped north concourse. The restaurant is a franchise company of Tampa, Fla.-based Bloomin' Brands. Evergreen Restaurant Group, the Pacific Northwest franchisee for Bonefish Grill, operates two other Bonefish Grills in Washington state in Richland and Bothell. Bonefish Grill specializes in market-fresh fish from around the world, savory wood-grilled specialties and hand-crafted cocktails. Hours of operation are 11am-10pm Monday-Thursday, 11am-11pm Friday & Saturday and 11am-9pm on Sunday. This year is the 40th Annual Spring Spokane Home & Garden Show, coming to the Spokane Convention Center Friday, April 1 through Sunday, April 3. This is Spokane's oldest running consumer home show and is focused on building, renovation, landscaping, design and decor. Over 350 exhibitors will be showcasing kitchens, room additions, windows, doors, sunrooms, fencing, spas, remodeling contractors, landscaping, decks, flooring, home security, basements, solar energy and so much more. 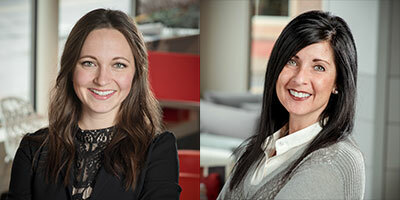 Contract Design Associates (CDA) account managers, Katie Harmon (photo left) and Gloria Saunders (right), were recently recognized in the Herman Miller Million Dollar Club. This recognition honors top performers in the 5 northwest states that sold $1,000,000 or more of Herman Miller products in 2015. This is Gloria's third award in three years and Katie's first award. Congratulations Gloria and Katie. 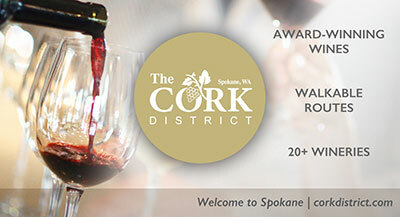 Join the Inland Northwest Land Conservancy on Friday, May 13 from 6-9pm at the Spokane Convention Center for their 25th Anniversary Splash. Inland Northwest Land Conservancy is celebrating 25 years of preservation and conservation with a fly fishing themed event, 'Hooked on Conservation'. Cocktail hour begins at 6pm and guests can bid on award winning photographs by local amateur photographers, try their hand at fly casting for prizes in a fly fishing game or have their photo taken wearing fly fishing gear in a themed photo booth. Dinner will follow and comedian and author of Pavlov's Trout, Paul Quintet, will entertain with humorous stories from his new book The Search for Elusive Trout - True Tales & Cocktails. Tickets for this 'blue jeans and blazers' event are $75. Visit www.inlandnwland.org for tickets or call 509-328-2939. Last June, Dr. Greg Miller, a dentist located in Deer Park, took his nine-person team to the Pacific Northwest Dental Conference (PNDC) to learn more about dentistry's role in nutrition, cancer prevention and overall health. Because dental practices rarely attend this conference together, the Washington State Dental Association (WSDA) interviewed Dr. Miller and his staff for WSDA magazine's January issue. In the article, Dr. Miller and his staff were able to share about the importance of continuing their education and taking the time to do things together, as a practice. 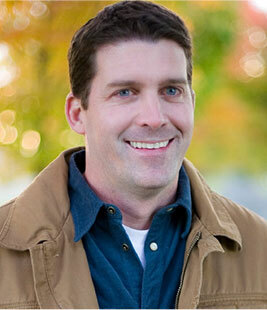 Dr. Miller and his team provide specialized dental care to residents of North Spokane and Deer Park. Dr. Miller is able to perform a number of advanced dental procedures, such as wisdom teeth removal, root canal treatments, dental implants, periodontal surgeries, and sedation dentistry. Dr. Miller is passionate about treating patients with special needs and is certified to treat adults with cardiopulmonary emergencies. 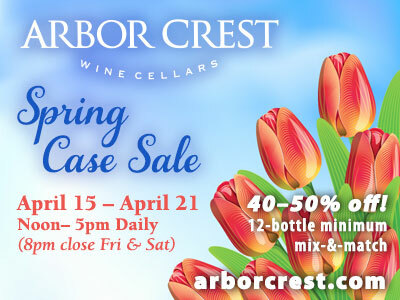 For more information, visit drmillerdentistry.com or call 509-276-1992. If you are 18 to 24 years old and have an idea for starting or expanding a business, YEP can help you. Young Entrepreneur Power (YEP) offers micro-enterprise business loans to young people who want to start or expand a business, and can even help develop a compelling and financially feasible business plan. Initial loans range from $300 to $2,500. Subsequent loans may be available based on your business plan and other factors. 1 - You are 18 to 24 years old with an individual or family income that is considered low to moderate and you live in either the Lincoln Heights, Southgate or Rockwood Neighborhoods. 2 - You are 18 to 24 years of age earning any income, living anywhere in Spokane, and the business you are starting or expanding benefits (or employs) low to moderate income individuals or families in the city of Spokane. Visit www.YepSpokane.com for more information. YEP is sponsored and supported by SNAP, the City of Spokane Neighborhood Services and Spokane Federal Credit Union. A QuickBooks expert will guide you through using QuickBooks as a bookkeeping and financial management tool. Learn tips and shortcuts and get the answers to all of your QuckBooks questions. Learn the keys to financial management, along with resources and financial management practices. Especially valuable for those who are already in business. Learn step-by-step consideration of legal, tax, insurance, accounting, business planning, and funding topics that you need to address to successfully start a business. Discover why successful businesses operate with a plan. Learn how to write a comprehensive business plan. Get assistance from a SCORE mentor to review and help refine your plan. Workshops are located in the SBA Training Room at 801 W Riverside, Suite 444. To register and for cost information, visit www.scorespokane.org.